Pure inspiration where the H3 wall mounted rack left off. Why not add two more hooks? Now there's no excuse for sloppiness. Makes a great tropical towel rack or Hawaiian hat rack. 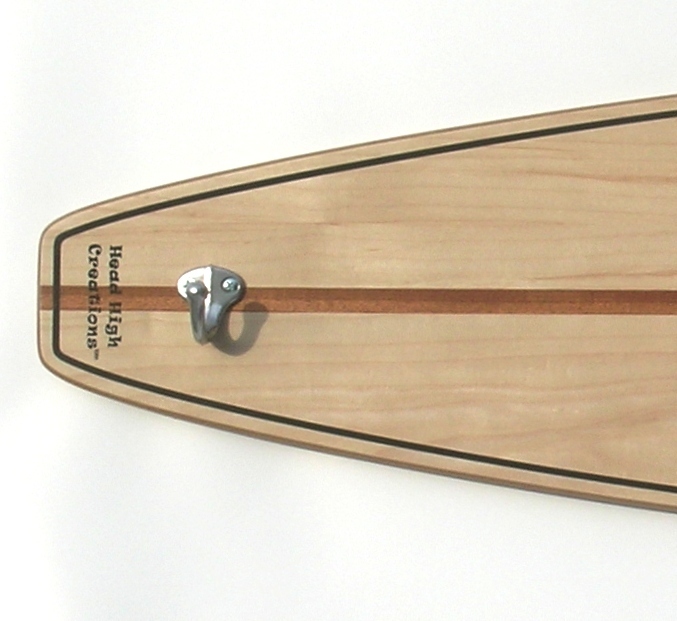 This sturdy surfboard wall rack is the perfect addition to your tropical decor. Size is 10"x 45"x 1/2". 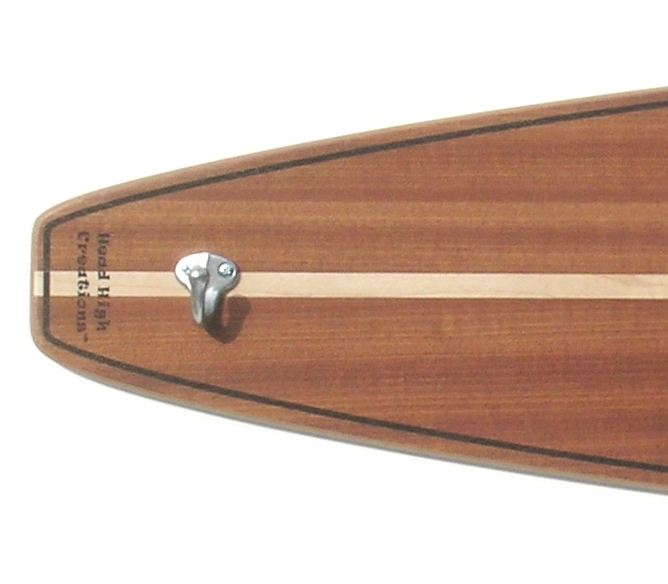 Click on the swatches below to see each a close-up of each surfboard wall rack. Hardware and instructions included.